We still continue with information on patterns in an Astrology chart but we thought we would change it up a bit for today. We have promised in the past to take a look at progressions and today we thought we would highlight progressed Jupiter. Jupiter deals with fair play. Its energies reflect moral and religious energies. Jupiter involves expansion, brings good luck and optimistic potentials. It is the planet of growth in material terms as well as expansion when it comes to life circumstances and how you can relate to this from a positive perspective. When Jupiter makes positive aspects to other planets and points in the Zodiac, there are great opportunities for conditions to turn out favourably. The house position occupied by progressed Jupiter is where you will find opportunities to expand your knowledge. Jupiter also has to do with travel, courts of law and lawsuits. In general, when Jupiter progresses through the chart, these areas mentioned are some of the areas of life that may be highlighted, especially if Jupiter happens to be in the ninth house. Jupiter also governs publishing, higher education and the ability to learn through experience. With progressions, each house cusp advances one degree per year and Jupiter moves closer and closer until it finally moves into the next house. It should be noted that Jupiter moves slower than the progressed houses. It is important to notice where Jupiter is in the natal chart and the houses it moves through during progression. These few houses (usually not more than three) will become areas of life that are affected by the progression of Jupiter in your chart. You will also need to take into consideration any aspects that might come into play from the other progressed planets as well as transiting planets that make contacts during Jupiter’s slow progression through the specific houses in your chart. 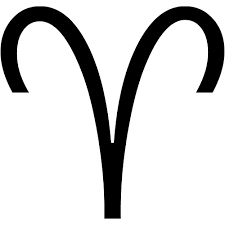 If Jupiter passes across your MC (Midheaven) the opportunities for growth in your profession have great potential especially if Jupiter is well aspected. You will also have to look at the overall condition of Jupiter in your natal chart as this will determine how great the success will be. A poorly aspected natal Jupiter does not promote in the same ways that a well aspected natal Jupiter does. When Jupiter passes over your MC, you may have opportunities for a promotion or may gain positive influence from people in higher positions. Travel or relocation might be on the agenda during the year Jupiter sits directly on this angle. I personally use an orb of 20 minutes for Jupiter as it approaches and 15 minutes when it separates. 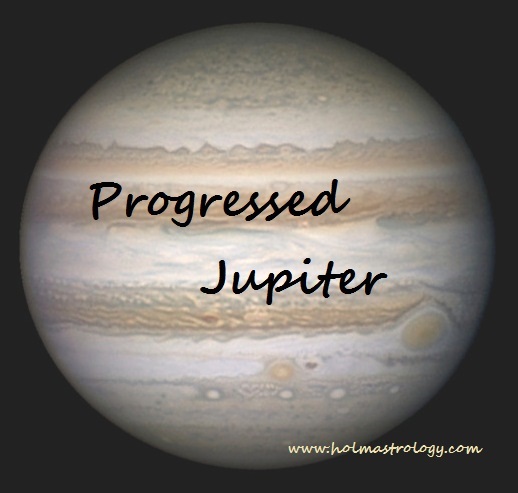 Progressed Jupiter on the ASC (ascendant) opens doors in very personal ways with less restrictions or obstacles for you. It might indicate a new relationship or expansion in the family. Prosperity and good luck seem to find their way to you. Since Jupiter has to do with law suits and legalities, when Jupiter is on the Ascendant or Midheaven, the potential for legal things to go well is increased. Jupiter on the DC (descendant) once again offers opportunities for marriage or opportunities to promote a new organization or affiliation with someone who can be of benefit to you in a business opportunity. Jupiter on the IC suggests changes within the home or with family members usually on a positive note. It is a good time to buy real estate or your monetary value may increase. As mentioned previously, however, always take into consideration other transits and weigh in the energies that they are indicating. Also, a reminder to review the overall condition of Jupiter in the birth chart in order to understand the full story Jupiter is relaying.